In 2006, the International Astronomical Union, a global group of astronomy experts, established a definition of a planet that required it to "clear" its orbit, or in other words, be the largest gravitational force in its orbit. Since Neptune's gravity influences its neighboring planet Pluto, and Pluto shares its orbit with frozen gases and objects in the Kuiper belt, that meant Pluto was out of planet status. However, in a new study published online Wednesday in the journal Icarus, UCF planetary scientist Philip Metzger, who is with the university's Florida Space Institute, reported that this standard for classifying planets is not supported in the research literature. Metzger, who is lead author on the study, reviewed scientific literature from the past 200 years and found only one publication -- from 1802 -- that used the clearing-orbit requirement to classify planets, and it was based on since-disproven reasoning. He said moons such as Saturn's Titan and Jupiter's Europa have been routinely called planets by planetary scientists since the time of Galileo. "The IAU definition would say that the fundamental object of planetary science, the planet, is supposed to be a defined on the basis of a concept that nobody uses in their research," Metzger said. "And it would leave out the second-most complex, interesting planet in our solar system." "We now have a list of well over 100 recent examples of planetary scientists using the word planet in a way that violates the IAU definition, but they are doing it because it's functionally useful," he said. "It's a sloppy definition," Metzger said of the IAU's definition. "They didn't say what they meant by clearing their orbit. If you take that literally, then there are no planets, because no planet clears its orbit." The planetary scientist said that the literature review showed that the real division between planets and other celestial bodies, such as asteroids, occurred in the early 1950s when Gerard Kuiper published a paper that made the distinction based on how they were formed. However, even this reason is no longer considered a factor that determines if a celestial body is a planet, Metzger said. Study co-author Kirby Runyon, with Johns Hopkins University Applied Physics Laboratory in Laurel, Maryland, said the IAU's definition was erroneous since the literature review showed that clearing orbit is not a standard that is used for distinguishing asteroids from planets, as the IAU claimed when crafting the 2006 definition of planets. "We showed that this is a false historical claim," Runyon said. "It is therefore fallacious to apply the same reasoning to Pluto," he said. Metzger said that the definition of a planet should be based on its intrinsic properties, rather than ones that can change, such as the dynamics of a planet's orbit. "Dynamics are not constant, they are constantly changing," Metzger said. "So, they are not the fundamental description of a body, they are just the occupation of a body at a current era." Instead, Metzger recommends classifying a planet based on if it is large enough that its gravity allows it to become spherical in shape. "And that's not just an arbitrary definition, Metzger said. "It turns out this is an important milestone in the evolution of a planetary body, because apparently when it happens, it initiates active geology in the body." 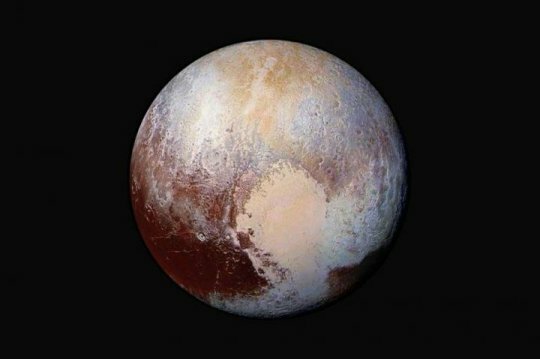 Pluto, for instance, has an underground ocean, a multilayer atmosphere, organic compounds, evidence of ancient lakes and multiple moons, he said. "It's more dynamic and alive than Mars," Metzger said. "The only planet that has more complex geology is the Earth."